For graduating students, commencement is a once in a lifetime occasion celebrating years of hard work and academic achievements. After countless assignments, essays, group projects, all night study sessions and challenging exams, the final semester has wrapped up. Family and friends gather to honor their loved ones’ important capstone event. Preparing for a flawless commencement ceremony requires major planning, a dedicated team of volunteers, and a smooth process to welcome and direct arriving attendees, especially when the festivities include multiple departmental events and thousands of guests attending. This holds true for The City College of New York, founded in 1847, the oldest of CUNY’s 24 institutions of higher learning that make up the City University of New York (CUNY) system. CCNY is home to 16,544 undergraduate and graduate students, 555 full time and 894 part time faculty. 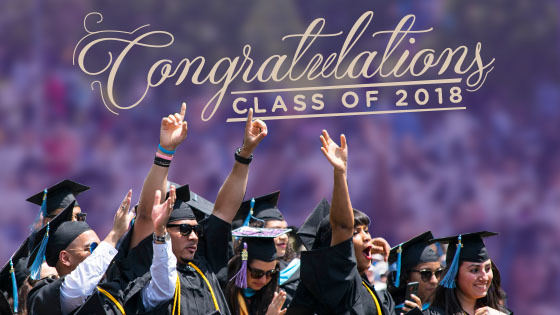 As you can imagine, more than a few caps were jubilantly tossed into the air as nearly 3,000 celebrated CCNY’s Class of 2018 graduation on May 30, 2018, in New York City. CCNY student volunteers and campusgroups team members check in guests celebrating the class of 2018's commencement. The CG Team was thrilled to be on site again for the second year in a row at The City College of New York for the Main Commencement Ceremony this year. To help organize this large-scale event, additional CG team members Laura, Florian and Jessy were on hand at CCNY for commencement festivities and to assist in checking people in to the event. It was a pleasure to witness how efficiently the Student Life Department is using our ticketing and mobile attendance tracking feature for a very smooth check-in process. Preparing for the actual day of graduation is a significant undertaking in order to create a wonderful experience for everyone at such a highly-attended event. At CampusGroups, it is our mission to equip event organizers with the very best event management tools so that on a day as important as graduation, event check-in is seamless and guests and organizers alike can relax and enjoy the walk across the stage for the beautiful moment it’s meant to be. Online registration helps guests quickly RSVP to events and retrieve tickets on the go. By leveraging CampusGroups' robust mobile QR code scanning technology, along with laptop stations for manual lookup (for attendees who didn't bring their tickets), checking in 2,700 guests at CCNY's commencement event was extremely fast and efficient (i.e., no long lines for this major event!) With a clean, easy-to-use interface to track attendance on the mobile app, student volunteers learned how to scan tickets and get up to speed in just minutes. One major benefit to being able to access QR codes by email is that it's open to everyone. This is important when an event like Commencement is open to everybody, including non-university guests. All guests receive the emails with the QR code, so they are able to scan in easily, and attendance records will include everyone, including non-students, who attend your event. At CCNY, this made it easy for parents (and other loved ones who are not part of the campus community) to obtain their tickets and display them at the entrance. Families brought their QR code tickets in various ways: printed on paper, mobile screenshot, mobile PDF, email, and student volunteers were able to scan QR codes for the event, thanks to the Organizing Team Members feature. Organizing events on campus is a team effort, and CampusGroups supports teams by making sure our event management tools are able to help group leaders create wonderfully enriching and successful events. Instead of assigning just one organizer per event, the event organizer can now be assigned to a team mode of group officers and even students who are not officers of the group. This is a great way to involve students to help track attendance and respond to inquiries without giving them full administrative rights of the group. Event attendees were able to avoid long lines thanks to fast check-ins via qr code scanning technology. Six students scanned codes simultaneously with WiFi-connected iPod devices, ensuring a quick and welcoming experience for guests while controlling access to the event and automatically gathering useful attendance data. Additionally, device vibration, enhancing sound and visual effects notifying successful check-ins made QR code scanning faster and accelerated the overall check-in process. Flexible ticketing options are just one of many unique features that set CampusGroups technology apart. Event organizers were able to limit the number of tickets to 3 per graduating student, distributed as they wish to families and loved ones. This is not only important but necessary for highly-attended events like commencements, where interest is high and only limited space is available. Occasionally students wish to transfer tickets to others: for example, Robert is only bringing two guests, so he would like to offer his other allotted ticket to anyone who might need it. CampusGroups Ticket Transfer capability makes this possible, and CCNY students were able to easily exchange tickets on the News Feed and via Chat. Transform any mobile device into a portable attendance-tracking tool with the CampusGroups mobile app. Scanning QR codes on attendee tickets gathers insightful data instantly, and event organizers such as administrators and officers are able to access their data at any time, in real time. Before the event, organizers were able to create a unique event registration page and set ticket limits. During the event, they were able to see who had arrived and checked into the event. After the graduation ceremonies, event organizers are able to access dashboards, key metrics and data representations to help measure ROI of the event overall. Our goal is to make it easy for event organizing teams to collect, organize and analyze comprehensive attendance data. CampusGroups event dashboards display real-time insights before, during and after an event. Tracking attendance is one of our core features, designed to meet the unique identification and tracking needs of higher education institutions. Interested in learning more? Please do not hesitate to contact us. We'd love to hear from you!